Practical, warm and cuddly. And extremely well styled. 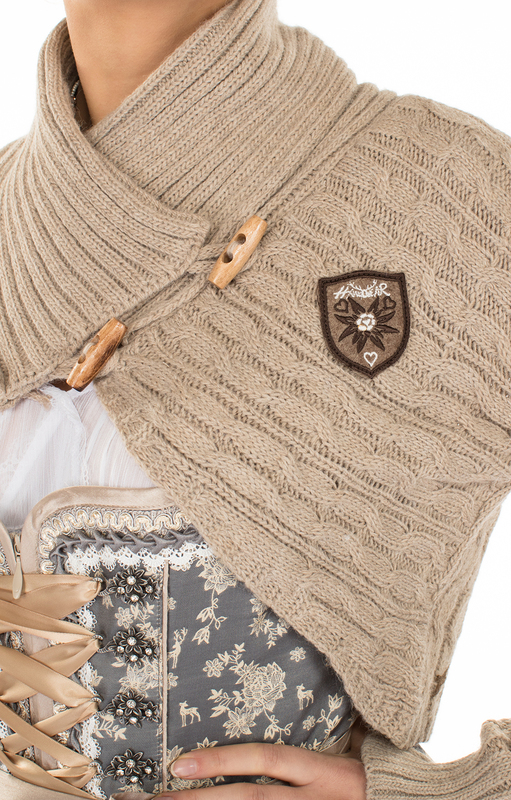 If we had to award points ... this rustic dirndl cardigan would get the full score. 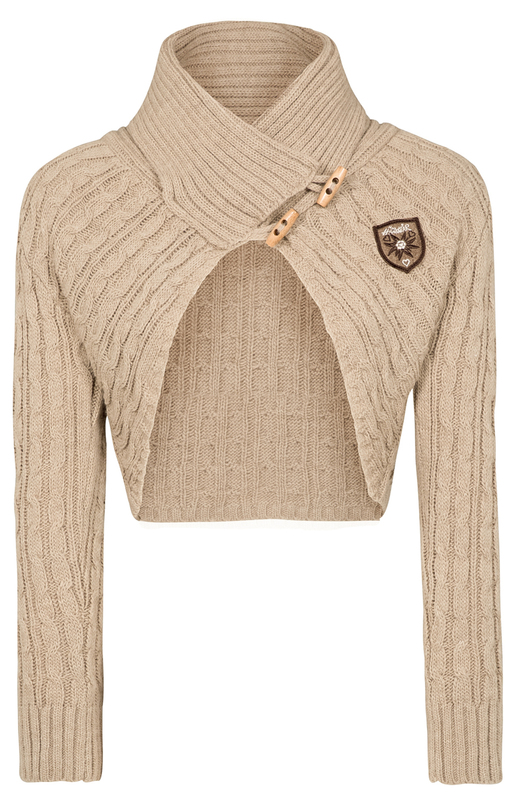 Dirndl jacket in the colour beige from Hangowear. The wave knit with wide ribbed shawl collar, as well as the small embroidery motifs at the front and back provide a rustic sporty touch. The toggle buttons made of wood show love of detail and naturalness. The refined cut and the slightly over cut sleeves for a young cool and extremely sophisticated look. 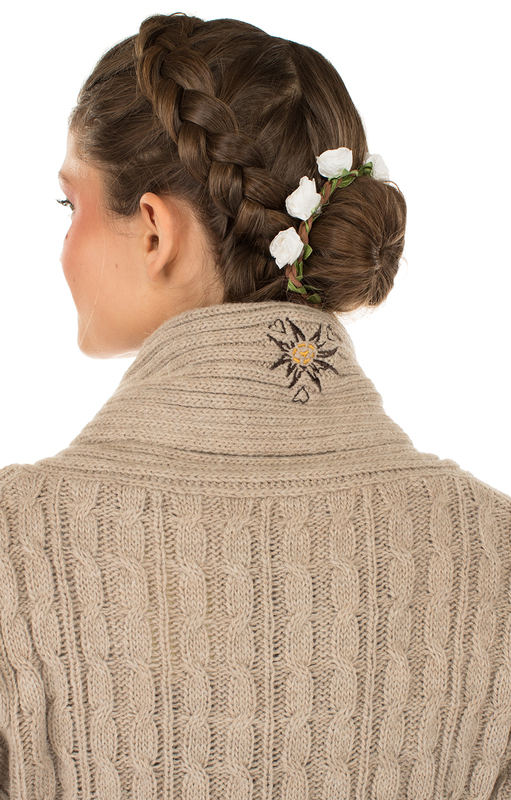 This knit bolero warms where the dirndl does not go and also looks great.